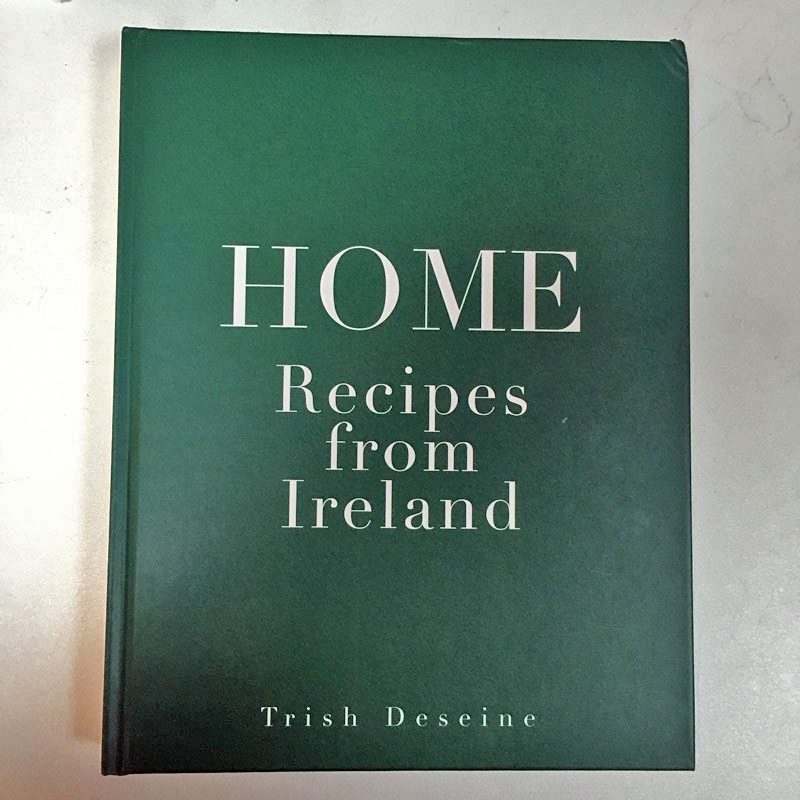 You might take a quick look at Trish Deseine’s big, pretty, pricey, new book, “Home: Recipes from Ireland”, and decide that it’s the sort of text aimed at tourists. HOME is, indeed, big, pretty and pricey. It’s also sharp as a blade and witty, and for every ”traditional” recipes there is something from the cutting-edge, supplied by Stevie Toman or Jess Murphy or Kevin Aherne or Robbie Krawczyk or Enda McEvoy. Ms Deseine may have only been living back in her native Ireland for a few years, but she knows who all the hottest chefs are, where the best markets are, and she even knows how to make a Hangover Blaa. But what is most impressive about Home is not the lovely food and the gorgeous photography (by Deirdre Rooney). No, what hits home in HOME is the writing. Take an Ulster woman and transport her to France for 25 years, and what you get back after all those years is not just a food writer, but a philosophe. “I think it is being away from Ireland for so long that has made me Irish, not British as I was born”, she writes, a sentence that packs two punches. The first is the political one. The second is the feline phrasing of the sentence, as if Ulster dialect had been sent to the Sorbonne.